Most popular among working professionals who require a conservative look. Normally, hair is cut with a slight taper on the sides and back and the top is left long enough to part and comb to the side. We pride ourselves in making sure that our barbers are masters at incorporating old fashioned scissor work into their haircuts. 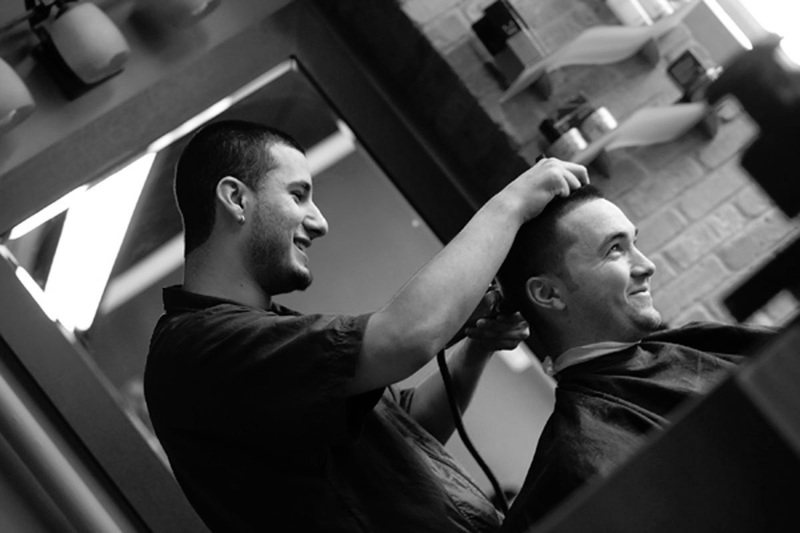 The term “fade” is the popular term for an aggressively tight taper. 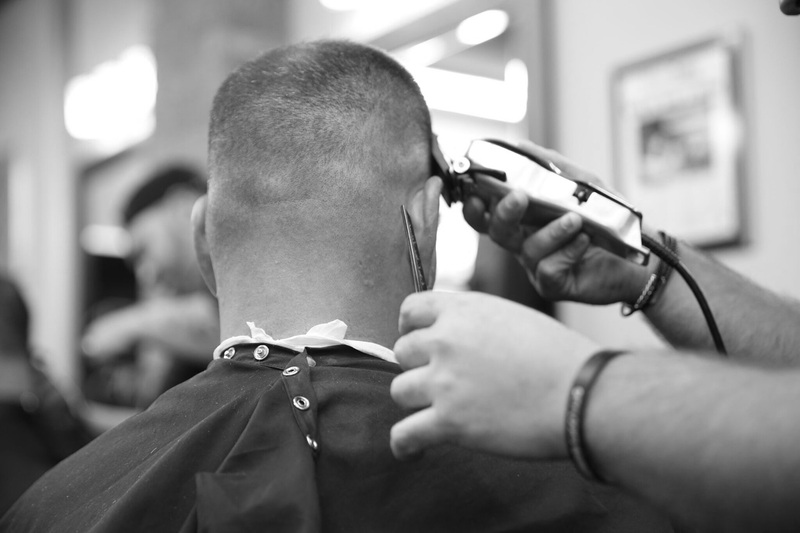 Hair at the sides and back is cut as close as possible with clippers and tapers up into any length on top. 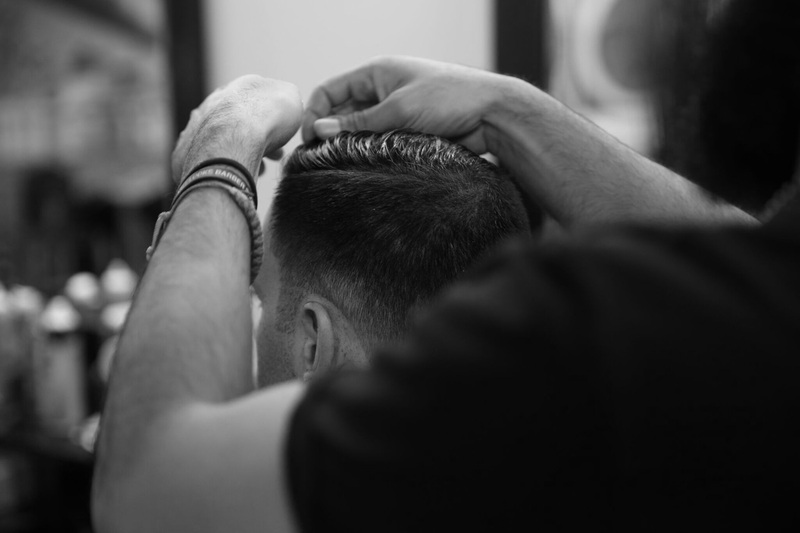 Hair on top can be styled neatly or given a messy texture with gel, wax, or pomade. Hair at the back of the neck is graduated to zero length, leaving an exposed natural hairline. 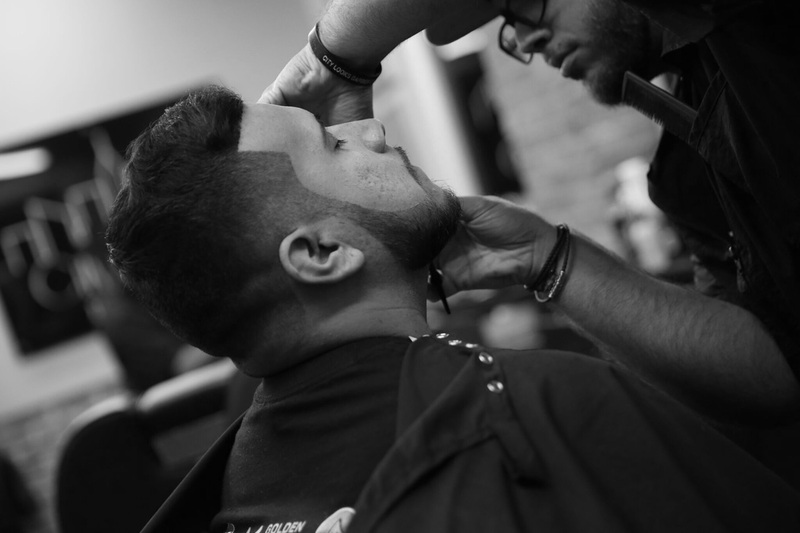 Many barbers, stylists and clients, make the incorrect assumption that a tapered neckline is always very short. 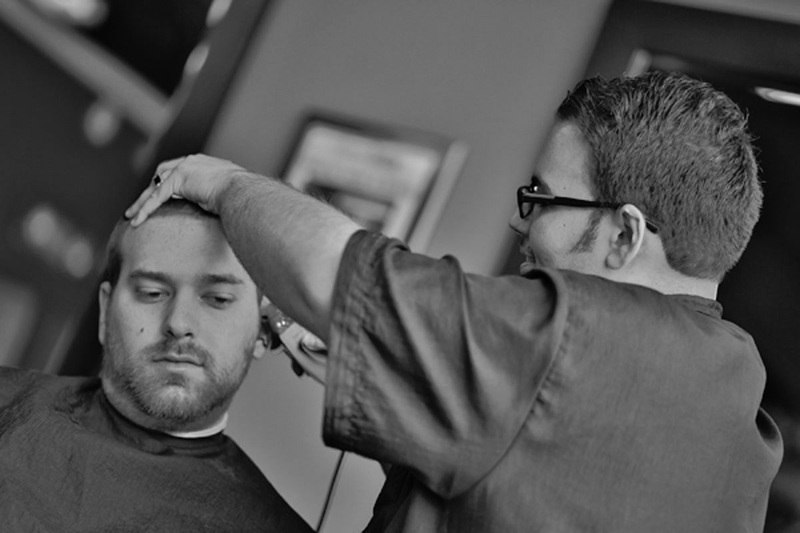 The advantage to a taper is that, as the hair grows out, the neckline remains natural and blended. 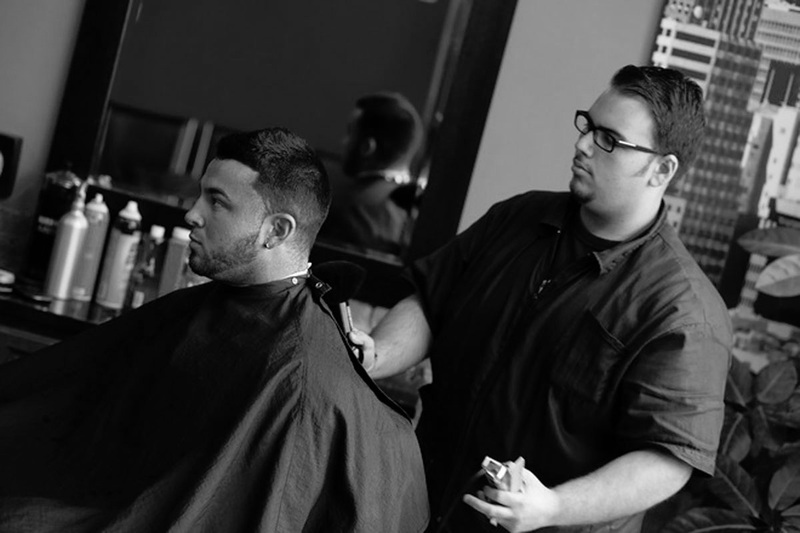 This will give the haircut a fresher and longer lasting look. After a week or so, stubble begins to grow around the sideburns and neck area. Clients can come in to get cleaned up and still look like they recently got a haircut. A beard can often be difficult to maintain, therefore we help our clients to keep it looking neat and trimmed. If needed, we take it down in length with clippers, shape it up with a trimmer, and finish it off with the straight razor to keep a clean edge. Some of our barbers are skilled at creating designs of our clients’ favorite sports team logos, school logos, player numbers, and free hand design work. 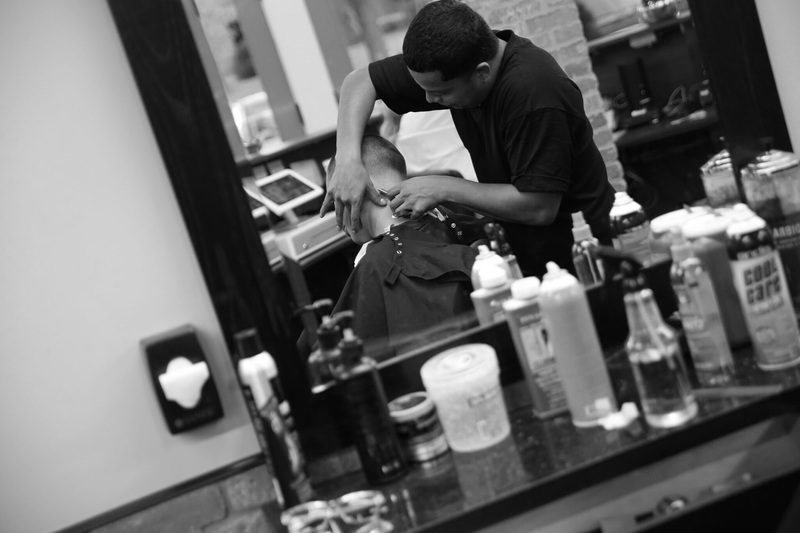 We use high quality shaving products to create a soothing experience for our clients. 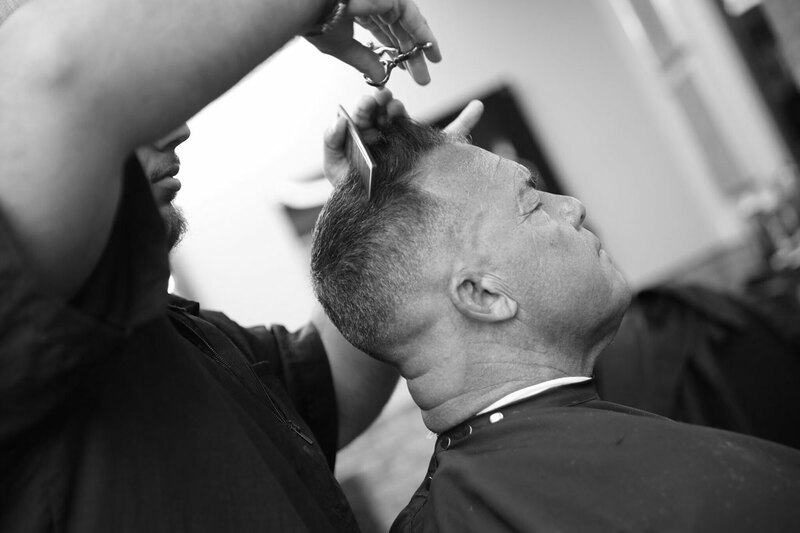 Our signature Hot Towel Shave is a man’s version of spoiling himself with that little bit extra that he deserves.